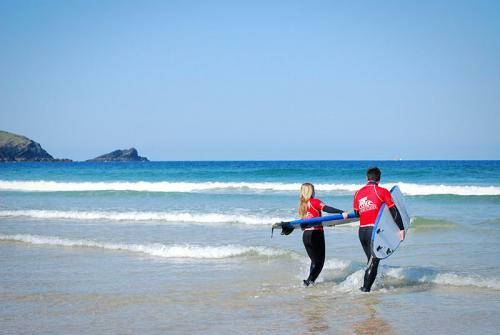 Our Newquay Surf School offers bulk lessons at a discount price. Learn to surf or progress your surfing whatever your age, level or ability with a course of Apprentice Surfing Lessons with the English Surf School in Cornwall. Offering a speedy progressive format of tuition (3 x 2hour lessons + a half day’s practice session), the small group of participants and frequency of lessons means you’ll be catching waves and having fun in no time. Semi-intensive in nature a course of Apprentice Surfing Lessons ensures more time in the water (6 hours coaching + half a day’s free surfing), which in turn means you’ll really benefit from repetition and building muscle memory: the key to executing new manoeuvres or building a foundation from which to spring board in the future. You’ll be surprised and stoked with the progression you make in such a short space of time. 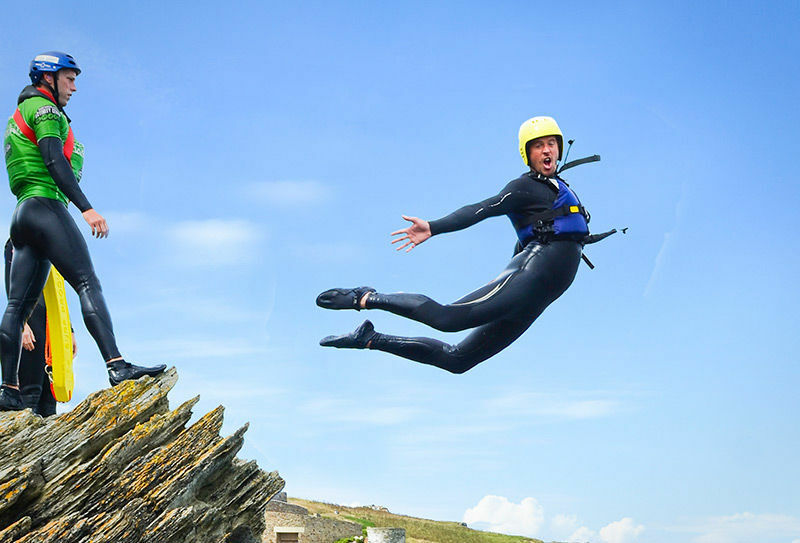 We hope to have you jumping 1 if not 2 levels on the iamband measure of surfing ability system. What’s more, the increased frequency of surf lessons means you’ll be surfing in a variety of conditions, which makes the whole experience more fun, more motivating, and ultimately makes you a more rounded surfer. 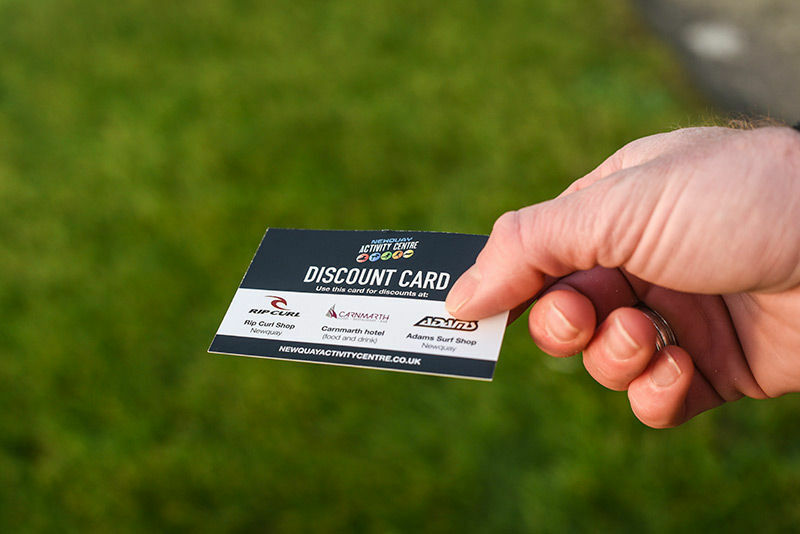 In addition to maximised surf time, you’ll have access to a team of passionate International Surfing Association qualified instructors, post surf photo analysis and goal setting, a superb quiver of surfboards from beginner Swell surfboards, Cortez Thruster Progressor to advanced boards. 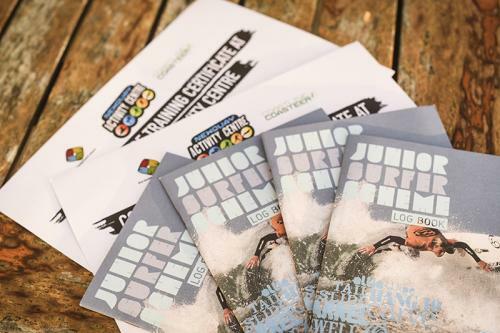 You’ll also be issued with a warm and comfortable Rip Curl wetsuit and rash vest, and an English Surf School Surf Progression Log so that you can monitor your development. 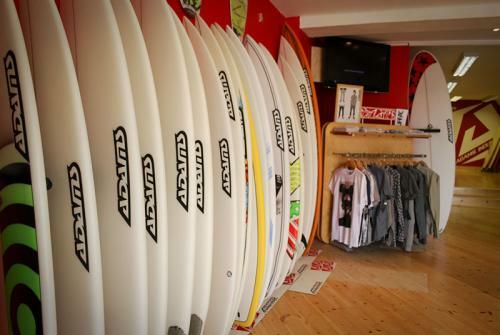 Our Newquay surf school also offers a warm place to change, a hot shower, secure lockers for your valuables and sits right next to a café serving awesome post surf hot chocolates. The surf school is conveniently situated on Newquay’s Towan Headland, equal distance between the famous Fistral beach to the South, and Newquay’s town beaches to the North. These sheltered spots break when Fistral is too big, so we can always find you the best waves for your ability and surfing objectives. Our Newquay Surf School is a one-stop shop for surfing where all of our surf lessons and courses have been carefully designed to an unrivalled level by British Team Coach, Rob Barber. There really isn’t a better place to learn or progress your surfing! 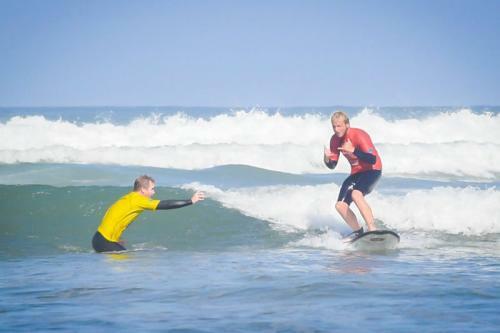 Call our Newquay Surf School today and get on board a semi-intensive course of Apprentice Surfing Lesson. You won’t regret it! 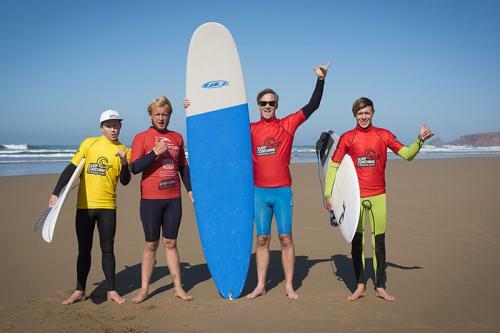 Call to check availability and book your Apprentice Surfing Lessons today.